Even the most terrible life events can turn into hidden blessings. 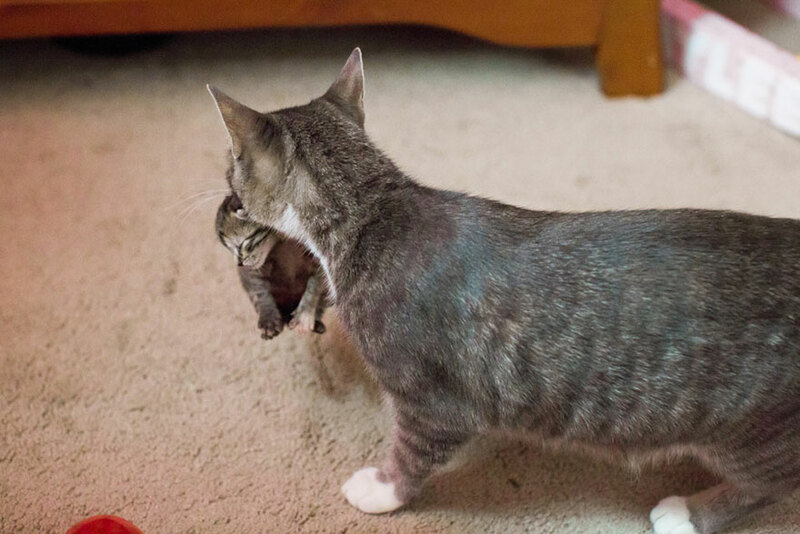 Mikey, an 8-month-old cat that had recently given birth to three kittens, was devastated when the kittens died – they were born prematurely and had died of weakness. 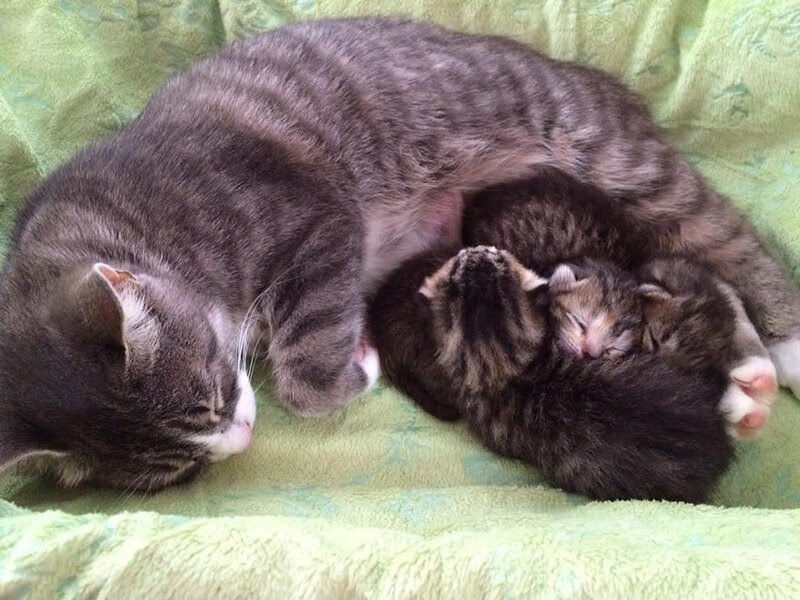 Luckily, a nearby shelter had just what she needed – 3 abandoned kittens looking for an adoptive mother. The kittens came from Amanda Lowe, a foster mother for abandoned kittens at the Dori’s Darlings shelter organization in Houston, Texas. 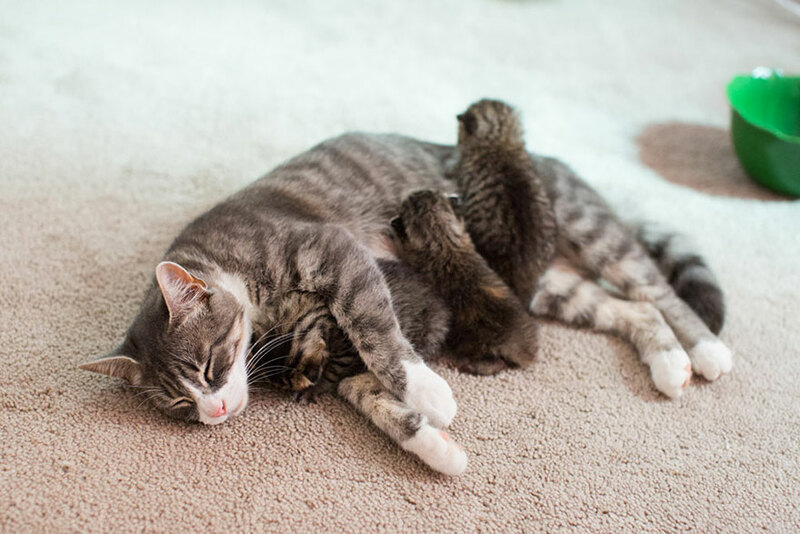 After sharing some soothing words with Mikey, Lowe introduced her to the three new kittens and they bonded instantly, hugging them and licking them like they were her own. 15 minutes later, she allowed them to breastfeed as well. 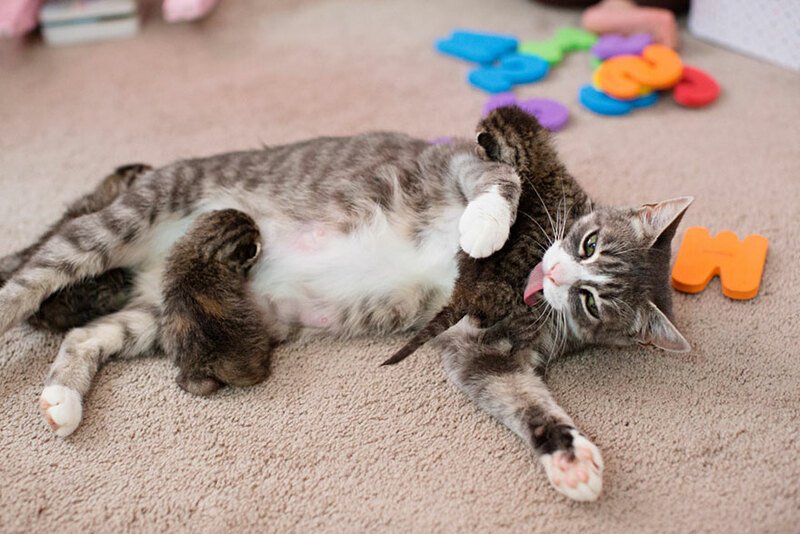 The fact that Mikey’s kittens are adopted from a shelter is fitting in its own way – Mikey was adopted by her owners as well, who thought she was a boy until a visit to the vet revealed that she was a pregnant mom. “I have some babies for you so you can be a mommy again,” foster mom Lowe told Mikey. Within 15 minutes, they were breastfeeding like a happy family!